Zip the full Princeville Ranch Adventures zipline course in three hours! This Kauai Zipline Tours course is a combination of nine scenic zip lines and a suspension bridge spanning a waterfall. The Zip Express tour is all about zipping. Imagine walking off the edge of a lush valley, flying over tree tops across to the other side as you soak in the mountain views. 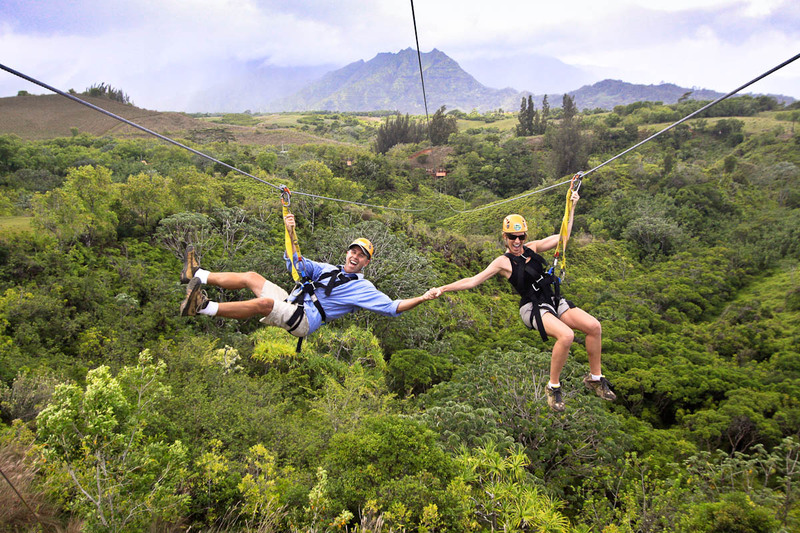 Kauai Zipline tours provide an adventure of a lifetime! Hiking is just over one mile and is rated moderate. Children age 16 or 17 can go on Princeville Ranch Adventures Zip Express tours without an adult as long as a parent or legal guardian signs a liability waiver and physically checks in the child at our office. 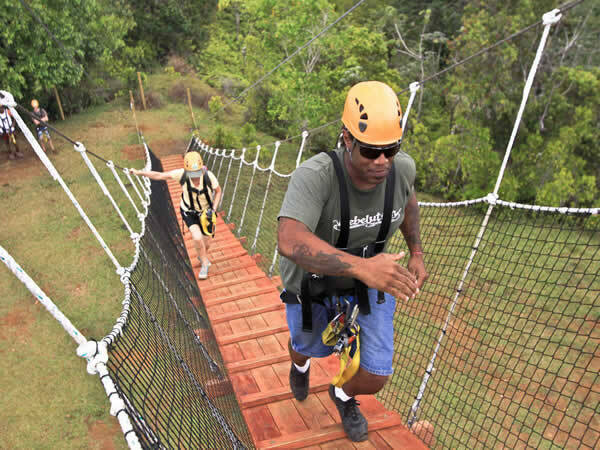 Princeville Ranch Adventures has the longest zipline in Kauai! The 1200 foot King Kong line is a twin zipline. Zip next to a friend at the same time for double the thrill and double the excitement! Closed toe shoes - preferably sneakers, tennis shoes or hiking boots, (NO aqua socks or 5 finder toed shoes), amphibious closed toe trail shoes are fine. Princeville Ranch also offers rental shoes for a nominal fee. Your shoes may get wet and muddy on this tour!